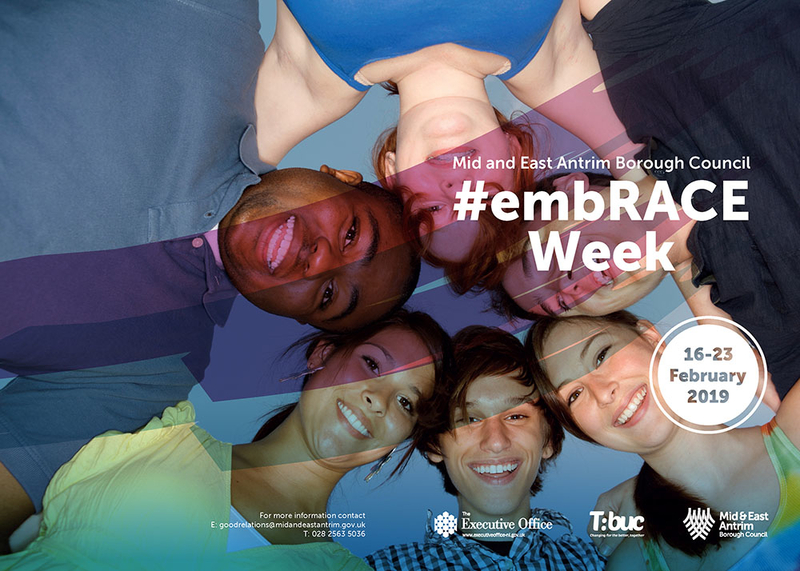 Mid and East Antrim Borough Council is hosting a series of events to raise awareness of the diverse cultures across our borough as part of week-long celebrations titled ‘#embRACE’. Now in its second year, the series of events make up part of council’s Good Relations Programme. There is something for all ages and abilities with park runs, cultural crafts and story-telling for children, music and dance performances. The festival runs from 16 - 23 February and celebrates the rich and diverse cultures of Mid and East Antrim. Mayor Cllr Lindsay Millar said: “Last year was such a success, we’re back for more in 2019. It is great to see so many people taking part in the various events and celebrating and embracing the rich and diverse cultures of our borough. This event, delivered through our Good Relations Programme, continues to develop mutual understanding, respect for cultural traditions, the principle of interdependence and positive cross-community and race relations here. Most of the events are free but some need to be booked in advance so check out the council website to make sure you don’t miss out. This programme has been supported by The Executive Office through Mid and East Antrim Borough Council's Good Relations Programme. For more information and to keep up to date you can go to our Good Relations section.